I didn’t know her, what she looked like, where she was, but I knew my mate was out there. And it was that truth that had me saving myself for her. Only her. If I couldn’t fully give myself over to my fated mate, what kind of worthy male was I? But staying in town, hidden deep within the forest, wouldn’t bring my mate to me. I had to go and find her. As a former foster child, I never had real family, no roots. I’d always felt like something was missing, so I worked hard on helping others. My mobile medical van was where my passion lay. It’s how I made sure no one else felt helpless. But when my van was broken into, and my safety compromised, it was a big bear shifting male who came to the rescue. Oli said I was his. He claimed I was his mate. He seemed certain of it just by looking at me. It was insanity, but I couldn’t deny the pull I felt for him, the way my body craved his. Pushing him away wasn’t an option, not when he was always there, watching me, making sure I was protected. And it was that need inside of me, the one that grew and consumed me, that finally had me giving in. 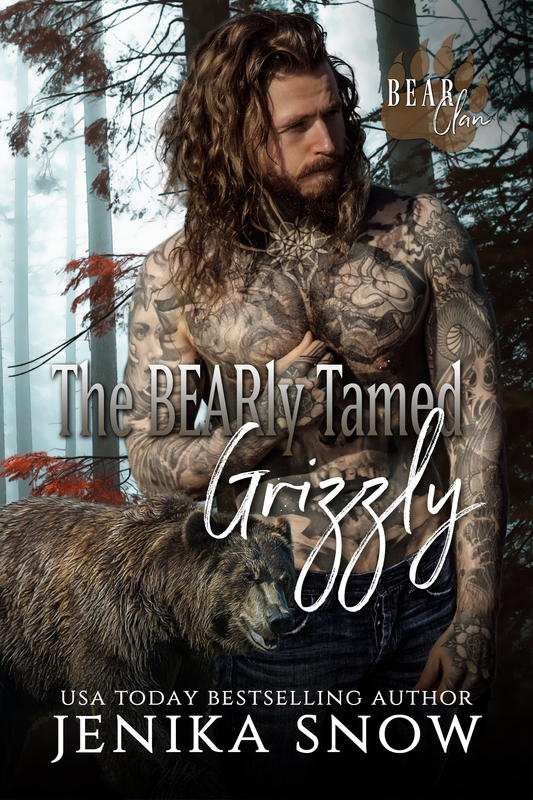 I soon realized being mated to a bear shifter meant he was grumpy, protective, possessive, and wanted only one thing.